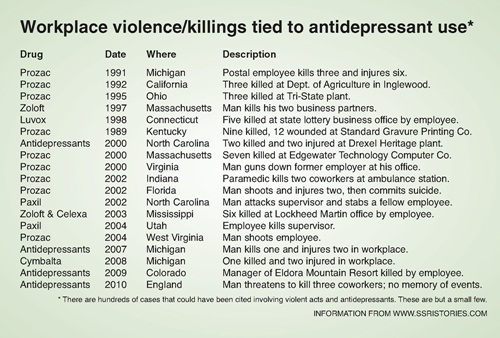 The statement that underlying mental illness causing violent or suicidal behavior by people on meds, is incorrect. That’s an excuse to avoid liability. Withdrawal symptoms and going “cold turkey” are under reported factors in a wide range of deaths and injuries. When the daily supply of a drug is stopped, the drug remains in a person’s system like just alcohol, cocaine, nicotine, or heroin. With mental health drugs the person short circuits, just like an addict, but with more deadly and irrational effects. 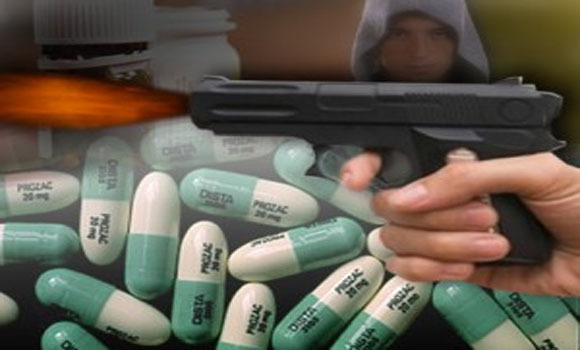 We’ve had hundreds of suicides resulting from the shortage of Adderall and Ritalin. Drug companies need to be held liable for the effects of their drugs as long as they remain in a person’s system. The FDA needs to address the effects of stopping a medication abruptly. Too many kids are dying from prescription meds. .